Electromagnetic Fields (EMF) are constantly and invisibly disturbing our daily lives. It is not something that we can escape altogether, but our awareness and actions can do a lot to keep us out of harm’s way. 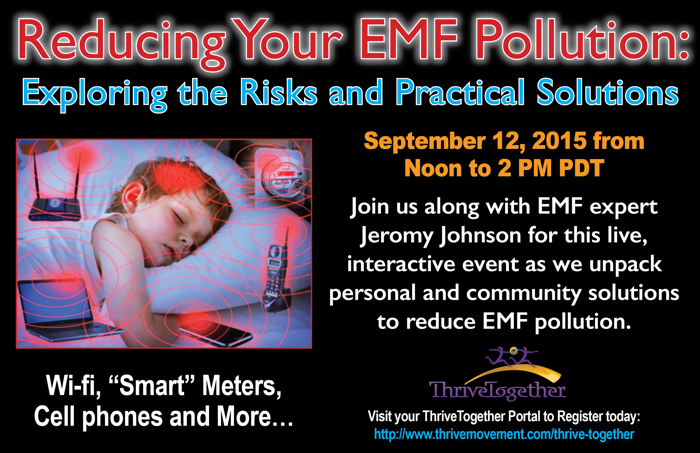 Our guest, Jeromy Johnson, became an expert in EMF pollution after his health was negatively affected and he had to seek out solutions for his family. You can read his story. Please join us for this important, solutions-oriented event Saturday, September 12th at noon PDT.